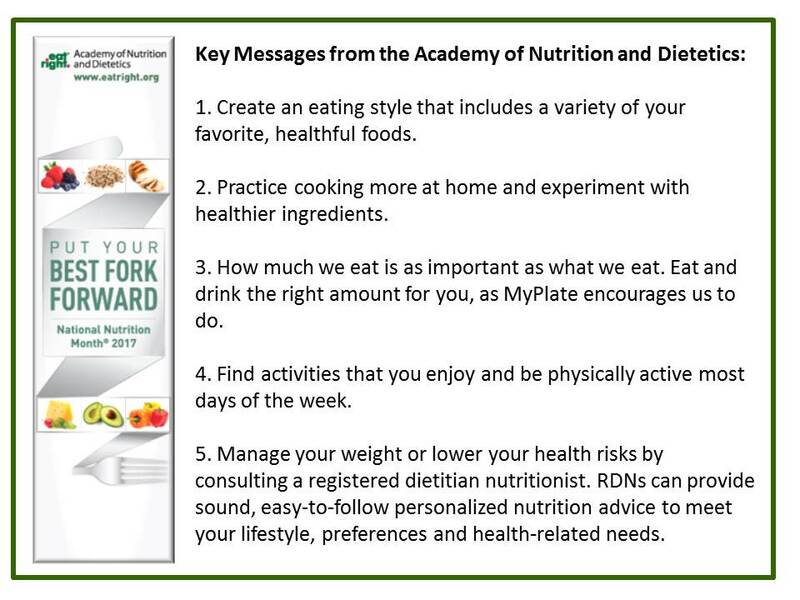 Each year the Academy of Nutrition and Dietetics develops new topics to celebrate National Nutrition Month. This year's theme, Put your best fork forward, encourages us to consider that every bite counts. Even "small shifts in our food choices, can add up over time." Here in Somerville we are celebrating National Nutrition Month in a few ways. ~ We are releasing Veggie of the Month kits in each school's library! The kits contain books, taste testing supplies, and a binder with lesson materials for each month! ﻿~ Our Wellness Champions and Farm to School Staff are posting bulletin boards and fliers around the schools! ~ Teachers are sharing a brief presentation with their students that encourages them to learn the tools to healthier choices and make small changes each day throughout the month! ~ We're sharing our fun tips toward healthy eating on social media! Follow us on Instagram & Twitter @SvilleFood4Kids to discover what they are! 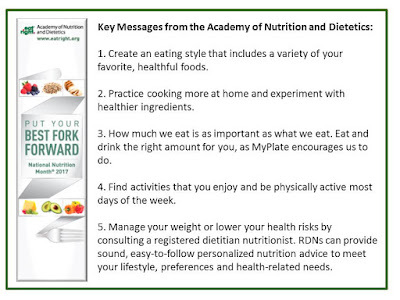 How are you celebrating National Nutrition Month? What little changes can we make in our daily diet to reach a healthier plate? Get creative and have fun, and remember, each bite counts! Find your way to healthy living! Recipes & Recap from Healthy Summer Harvest!